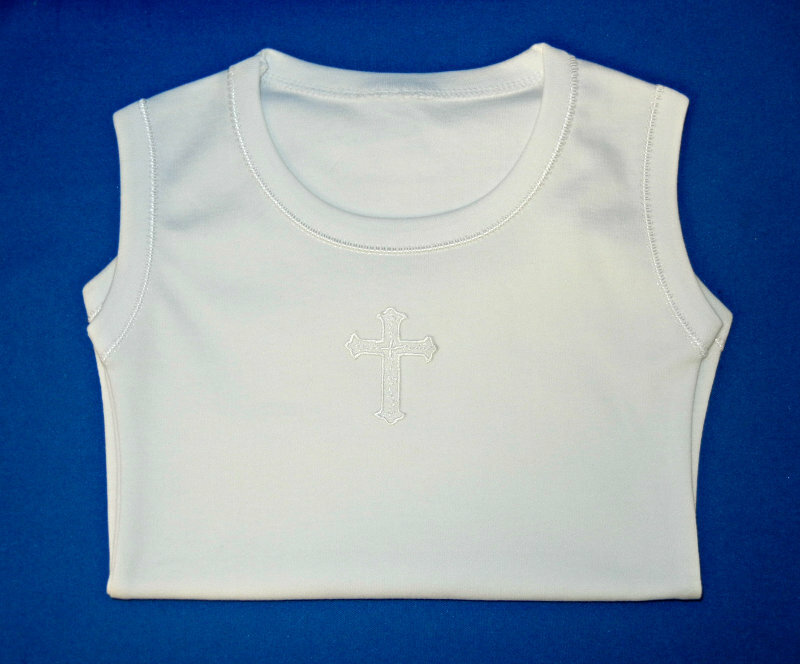 White baby onesie tank w/ satin stitch trim & large cross. Onesie is 100% cotton. Available in sizes: Newborn, 0-3 months, 3-6 months, & 6-12 months.